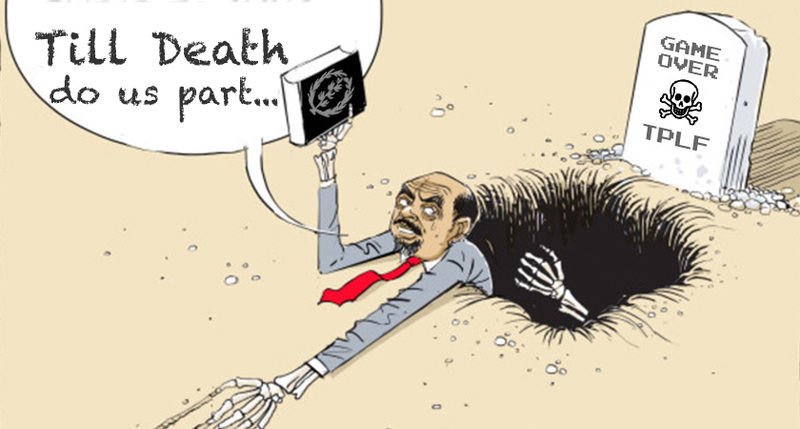 The so-called “Eritrean Opposition” in Ethiopia told to ‘Stay put or Run’ …. General Mesfin Amare, the head of Ethiopia’s Liaison Office for Eritrean Affairs, has informed Eritrean opposition parties based in Ethiopia that they must immediately end all political activities against the Eritrean government on its soil. The General took this action as President Isaias Afwerki flew into Addis Ababa. At the same time, the opposition parties were assured that they will not be handed over to Eritrea, and can remain in the country if they stop all activity. All opposition radio stations broadcasting from Ethiopia will be closed, and that their slots on state-owned television have been cancelled. The decision can not have come as a surprise. It would have been inconsistent for Prime Minister Abiy Ahmed to preach reconciliation with Eritrea, and warmly receive its president while allowing Eritrean opposition groups based in his country to ferment revolution in Eritrea. One can only assume that President Isaias will have sent a similar message to Ethiopian opposition movements that have been based in his country. But there is one key difference: Prime Minister Abiy has been unbanning opposition movements and embracing its leaders. President Isaias has so far taken no equivalent step with his own opposition [LOL]. Armed Ethiopian opposition groups based in Eritrea have issued their respective statements to announce the end of armed struggle following the removal of the TPLF regime from power and introduction of major reforms in the country by the new government. Patriotic Ginbot 7, TPDM, OLF and ONLF have all announced they ceased the armed struggle and expressed their readiness to return to their country and be part of the change. “Our forces have received strict orders to refrain from any sort of armed resistance,” the statement released by Ginbot 7 reads. It added the decision “takes into full consideration our preparedness and determination to foil any attempt to derail the current change process by anti-change elements within EPRDF [Ethiopian People’s Revolutionary Democratic Front]”.